ROBICHAUX, OTHO (he also signed Robichaud), farmer, merchant, jp, militia officer, and office holder; b. 29 April 1742 in Annapolis Royal, N.S., son of Louis Robichaux* and Jeanne Bourgeois; d. 19 Dec. 1824 in Neguac, N.B. Although Otho Robichaux’s father enjoyed good relations with the British authorities at Annapolis Royal, the family was not spared the grief of deportation in 1755. They were, however, allowed to choose their place of exile and were sent to Massachusetts, where they resided first in Boston and then in Cambridge. 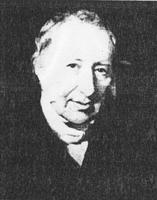 In later years Otho would be among those who contributed information for Andrew Brown’s study of the deportation. While in New England, he attended English schools. The family moved in good circles; among their acquaintances were Edward Winslow* and the prominent Vassalls of Cambridge. In 1775, at the outbreak of the American revolution, the Robichaux family, whose sympathies were with the loyalists, removed to Quebec. There Otho made contact with a number of Acadians from the Miramichi region of what was to become New Brunswick; they no doubt persuaded him to settle in that area. His personal savings, supplemented by an inheritance from his father, enabled him to purchase from Pierre Loubert (Loubère) on 28 May 1781 the rights to and improvements on a piece of land at Neguac. Loubert for many years had been engaged in trade with the Indian and Acadian inhabitants of the region. The improvements consisted of a house, barn, store, and bakehouse. Robichaux began farming and set up in business, operating a retail store, dealing in local products, and involving himself in the lumber trade. Among the local merchants with whom he had business relations were James Fraser, Francis Peabody*, and Richard Simonds*. He also exchanged goods with Charles Robin of Paspébiac, for whom he seems to have acted as agent. Over the years he was to acquire a number of properties in the Miramichi area. On 18 Aug. 1789 Robichaux, until then a bachelor, was married by Father Antoine Girouard to Marie-Louise Thibodeau (Thibaudeau), the 15-year-old daughter of Alexis Thibodeau and Marguerite Dupuis of Bay du Vin; the couple were to have twelve children, eight girls and four boys. For some reason, the marriage was the cause of dissension between Otho and his siblings. “My difficulties and my sorrows began when you got married,” his sister Vénérande* once wrote. 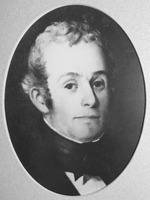 “You have around you people who overwhelm you,” she commented on another occasion; “I thought that when you married you were taking only a wife, but it happens that you have married an entire family.” Robichaux nevertheless maintained a fairly amicable relationship with his sisters at Quebec, particularly Vénérande, with whom he corresponded regularly. She often acted as her brother’s agent, settling bills, pursuing debtors, and forwarding merchandise to him. Robichaux came to occupy a position of considerable prominence in the Miramichi area. In 1788 he was asked by James Fraser to join in an application for courts of justice to be established in Northumberland County. Six years later, no doubt on the recommendation of Winslow, Robichaux became a justice of the peace, as did his fellow Acadian Joseph Gueguen of Cocagne. Among other positions he occupied at the county and parish levels were those of overseer of the poor, school trustee, and road commissioner. In addition he acted as assessor of rates; thus, when a jail and court-house for the county was being erected in 1791, it fell to him to apportion among the inhabitants the sum assessed on the district of Neguac. Active in the militia as well, he held the rank of captain from 1 Jan. 1799. He also served as a churchwarden and, according to oral tradition, acted as a sort of lay priest in the absence of a missionary, presiding at prayer meetings, baptizing children, and receiving the vows of couples who wished to marry. A headstrong man, Robichaux was involved in many disputes with neighbours over the ownership of land and occasionally confronted the clergy, with whose opinions on temporal matters his own views were often at variance. In government circles his influence was recognized and his opinion valued. It was through him that the administration communicated with the Acadian residents of the Miramichi region, and few measures affecting them were passed without his having been consulted. Arch. de l’évêché de Bathurst (Bathurst, N.-B. ), Papiers Robichaud. Centre d’études acadiennes, univ. de Moncton (Moncton, N.-B. ), Fonds Placide Gaudet, 1.31-13A, 1.87-1–5. PANB, RG 1, RS559, E10–11; RG 2, RS8, oaths, 2/1; Otho Robichaux et al. to Thomas Peters, 22 Aug. 1819; RG 18, RS153, A1–4. Collection de documents inédits sur le Canada et l’Amérique, [H.-R. Casgrain, édit.] (3v., Québec, 1888–90), 2: 94–95. Placide Gaudet, “Acadian genealogy and notes,” PAC Report, 1905, 2, pt.iii. “Vers le passé: la famille Robichaud, lettres d’une proscrite acadienne, de 1755, à son frère,” Le Moniteur acadien (Shédiac, N.-B. ), 26 juill. 1887: 2; 29 juill. 1887: 2; 2 août 1887: 1; 5 août 1887: 1; 9 août 1887: 1. Winslow papers (Raymond). Donat Robichaud, Les Robichaud: histoire et généalogie (Bathurst, ). Cedric L. Haines, “ROBICHAUX, OTHO,” in Dictionary of Canadian Biography, vol. 6, University of Toronto/Université Laval, 2003–, accessed April 26, 2019, http://www.biographi.ca/en/bio/robichaux_otho_6E.html.